There's nothing bad about generic prix fixe dining and getting a box of chocolate on Valentine's Day. But there's nothing fab about it either. And when it comes to love, I strive to experience all-consuming fabulousness. After all, one should never settle when it comes to love. So here's the Valentine's Day fab five list to take your night of romance to fabulous proportions. Ditch traditional red and dress up in its softer and more feminine cousin-blush pink! I heard about the Benefit Cosmetics' full service makeup, brow, and blowout bar through Gilt LA and have already scheduled two separate appointments for this month. It's quietly nestled on Montana Avenue in Santa Monica and is the perfect place to get dolled up for Valentine's Day. Sip on mimosas and get pampered while basking in the endless shades of pink and retro decor. It's the quintessential destination to get beautified before a wild night of romance. 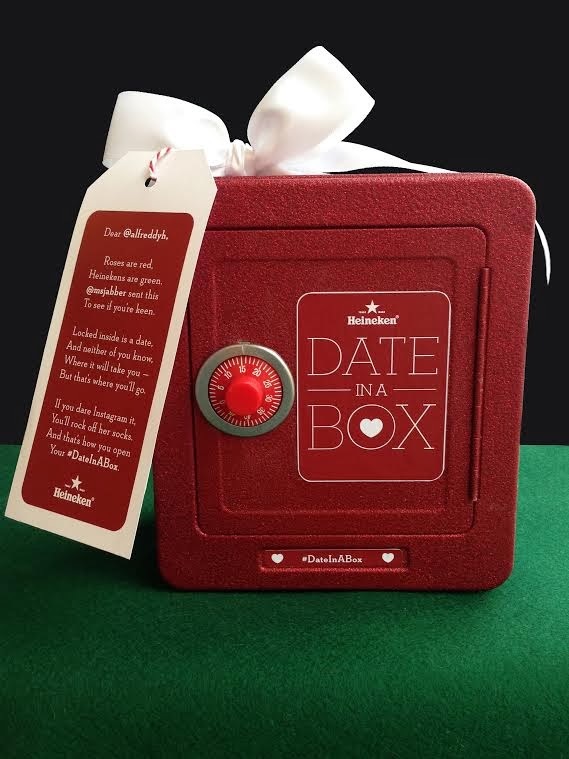 A#DateInABox is an actual box, a glittery, red one with an adventurous, prearranged mystery date locked inside, ranging from an improv class to jujitsu lesson for two or couples’ tattoos. Simply tweet to @Heineken_US to mail one to their guy and the only way to unlock it is to share his lovey-dovey feelings with the world by Instagramming the box for all to see. If he’s game, a code to unlock the box on Valentine’s morning will be sent to him so the lucky couple can enjoy their spontaneous and unexpected Valentine's activity that night, compliments of Heineken. At the tip of Larchmont Village tucked away on the corner of Melrose sits one of my favorite farm to table restaurant. The two story Craftsman style home, complete with open patio areas perfect for private parties, is inviting, cozy, and tastefully (no pun intended) decorated. 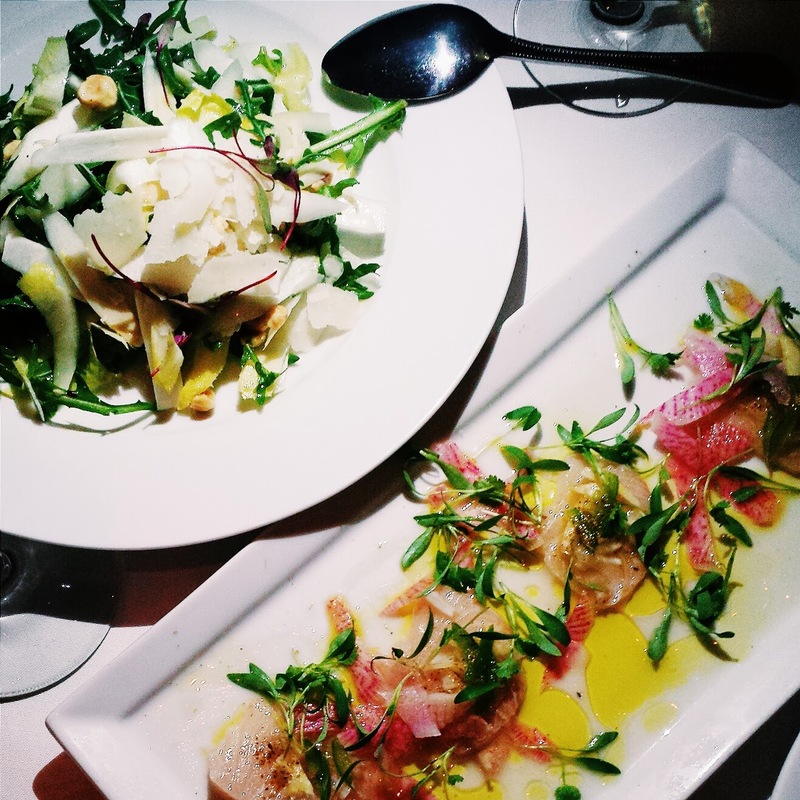 I went with my foodie friends a few weeks ago and we've been raving about the meal ever since. Get the lamb shoulder with cous cous, the kale salad, and definitely start with the kanpachi. Pick up a menagerie of the city's best mini pies (my favs are the coconut cream and the salted caramel), drive up Mulholland Drive and park your car at the lookout point closest to Runyon Canyon. 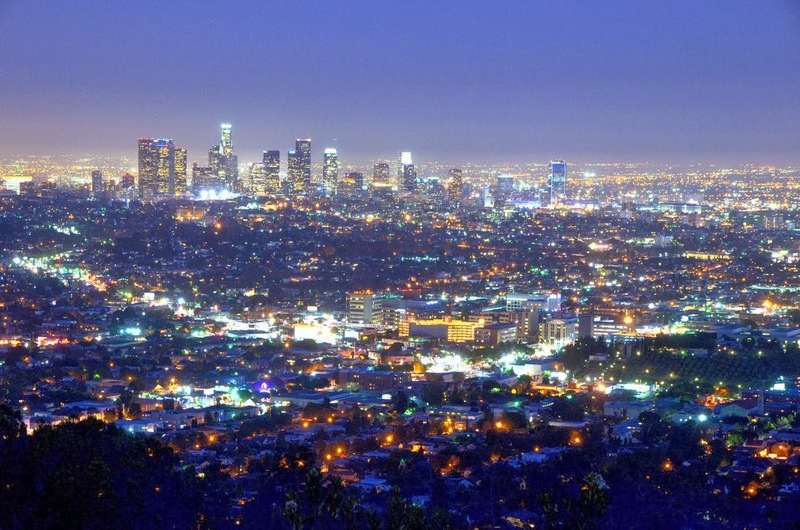 Indulge in sweet and flaky dessert while gazing at the stars, the Hollywood sign, and the blinking life of my favorite city in the world and open your eyes and heart to the love that's in the air. Make out sesh required. Always be productive in a very replica cartier watches you're keen on as well as find a exercising plan. Every single day when you take your current lunch, get rolex replica submariner time for it to trot, rapid go walking as well as are powered by any local car park. Always be literally productive. Get time for it to participate in your selected game. Pertaining to at the least several for you to 5 fake rolex uk 7 days, pertaining to no less than one hours for every period. Being fake omega productive allows you melt away your body fat. Generating one's body a new weight loss central heater. It can be zero magic formula you must figure out as well as at the least offer an day-to-day exercising that may help you about how to shed bodyweight rapid. In case you’re fake omega for the watch out for every day with the the game, consider a Commander Swiss Quartz wristwatch which has a dark-colored silicone band. This specific enjoy can be fly dark-colored along with set pertaining to venture – in fake rolex uk for the adding natural! The idea stores with a dark-colored s / s fake hublot scenario and also a dark-colored unidirectional spinning bezel which has a range. The idea incorporates a sapphire painted mineral amazingly and also a attach along top using well-designed links and also a steel time for comprehensive true design and style. The idea incorporates a silver-tone steel scenario, cozy silicone watches replica uk, which in turn suits your face, plus the Invicta company logo for the the front. This specific developer enjoy is often a showstopper along with just about any gentleman would likely experience extremely pleased donning the idea.